Members of Iran's Islamic Revolution Guards Corps (IRGC) closed Tehran's International Imam Khomeini Airport on 8 May, its first scheduled day of operations. Officials said the closure was due to the presence of foreigners from the Turkish-led consortium Tepe-Akfen-Vie (TAV), which built and was to operate the airport. The IRGC said the foreign workers were a security risk at a sensitive site. IRGC Brigadier General Alireza Afshar, a deputy head of the armed forces joint headquarters, said on 9 May that the airport would not be safe until the contract with TAV was cancelled, Fars News Agency reported the same day. The airport, he added, "has a special and vital security status and needs...more precise regulations." It was shut, he said, after the Roads and Transport Ministry ignored instructions issued on 4 April by the Supreme National Security Council to cancel the contract, according to farsnews.com on 9 May. The airport remains closed even though Iran Air, the national airline, has been tasked with operating the facility. Additionally, foreign personnel were asked to leave on 7 May in a bid to avert closure. Yet it was still closed. The cabinet deplored the shutdown of the airport on 9 May and "the intervention of irresponsible elements in this incident," according to the daily newspaper "Iran" the next day. It ordered an investigation and wants "the prosecution and punishment of the culprit or culprits," according to "Iran." Roads and Transport Minister Ahmad Khoram stated separately on 9 May that the Supreme National Security Council did not tell the ministry to cancel the contract. "Iran" on 10 May reported that Khoram said: "We [told the armed forces] there is no contract to cancel, but an agreement, which is not a contract." He denied a claim by Afshar that President Hojatoleslam Mohammad Khatami had personally asked for the cancellation of the contract, even if it meant paying reparations, "Iran" reported: "They have issued a false report and acted upon it. The president said that the contract should be cancelled if there was one. We said, there is no contract to cancel." Expelling foreign contractors and consultants from ports and airports to satisfy the military, Khoram added, would be like "shutting the country's gates." The suspension of the operation deal has also angered Turkey. The TAV consortium built the airport's Terminal 1 and signed a memorandum of understanding last December to operate it, according to bakutoday.net and the "Turkish Daily News" on 12 May. It spent $15 million on equipment and staff training for that task, which it now cannot do. TAV says that its agreement, which includes a $193 million deal to build and operate a second terminal, remains valid, according to bakutoday.net. According to Turkish Foreign Affairs Ministry spokesman Namik Tan, the suspended deal may deter other Turkish companies from doing similar business in Iran and harm economic ties between the two countries, bakutoday.net reported on 12 May. Part of the "security issue" cited by the IRGC may consist of Turkey's security ties with Israel -- a state Iran does not recognize and considers an archenemy. Iran's conservative press has highlighted what they term the TAV consortium's potential ties to "Zionists." They have also denounced the considerable cost of the airport's inauguration on 1 February (see "RFE/RL Iran Report," 19 April 2004). But officials have sought to present the closure in more technical terms. Ala'eddin Borujerdi, a member of parliament's National Security and Foreign Policy Committee and one of two legislators the parliamentary speaker has appointed to investigate the matter, said on 12 May that the "matter...is not political," "Entekhab" reported on 13 May. 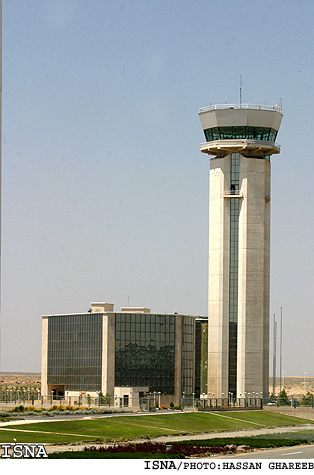 According to farsnews.com on 14 May, Borujerdi stated that the airport was simply not ready to function on 8 May and that "its initiation was hasty." According to his "preliminary assessment," the problem arose from a "lack of coordination between agencies," farsnews.com added. Borujerdi agreed on 12 May that the Transport Ministry had asked foreign employees to leave the airport on 7 May, the day before the closure, but stated that this gave them insufficient time to leave and "transfer responsibilities" for the next day, "Entekhab" reported on 13 May. Unlike the reluctance of official bodies to name and shame before investigations have been completed, some politicians have already found their scapegoat -- Transport Minister Ahmad Khoram. Ahmad Tavakkoli, a conservative elected to the incoming parliament, said on 13 May that anyone witnessing "such an embarrassing disaster" in their area of responsibility "should not remain in his position for even an hour," according to ISNA. The minister has mentioned the need to pay TAV $20 million in compensation, but "Entekhab" quoted Ardabil representative Vali Azarvash, a member of parliament's Construction Committee, as saying on 12 May that the minister "must pay the...compensation out of his own blessed pocket." Fars New Agency, affiliated to the conservative-controlled judiciary, cited an unnamed Transport Ministry official as saying on 11 May that President Khatami has told Khoram that whoever "signed the agreement can pay the compensation." Critics agree only on the poor image of Iran that is projected by the closure. The public and foreign and domestic media do not care who is responsible for the airport closure, "Iran" commented on 11 May: "the armed forces, roads and Transport Ministry, the state aviation authority, airlines -- does it matter? The important point, especially for [Iranians], is that the country's largest and most important development project in the past year has not so much been a source of pride for Iran and Iranians as it has 'disgraced the nation,' to quote the parliamentary speaker." How could there be no coordination, "Iran" asked that day, "in a country that has the most tiresome bureaucracy for the simplest task, with military vehicles going and parking themselves on the runway, just when millions of Iranians and people [elsewhere] wanted to see Iran's skill at running an international airport?"